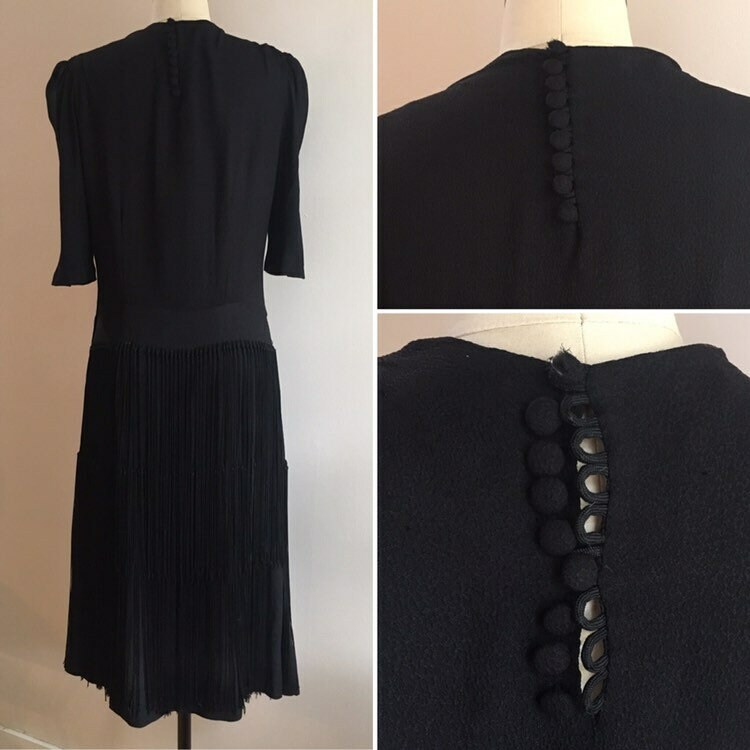 True vintage 1930s black acetate shirtdress with high neck collar, structured half sleeves, dropped waist, and fringe layered skirt. Near perfect vintage condition; light wear from age and use. 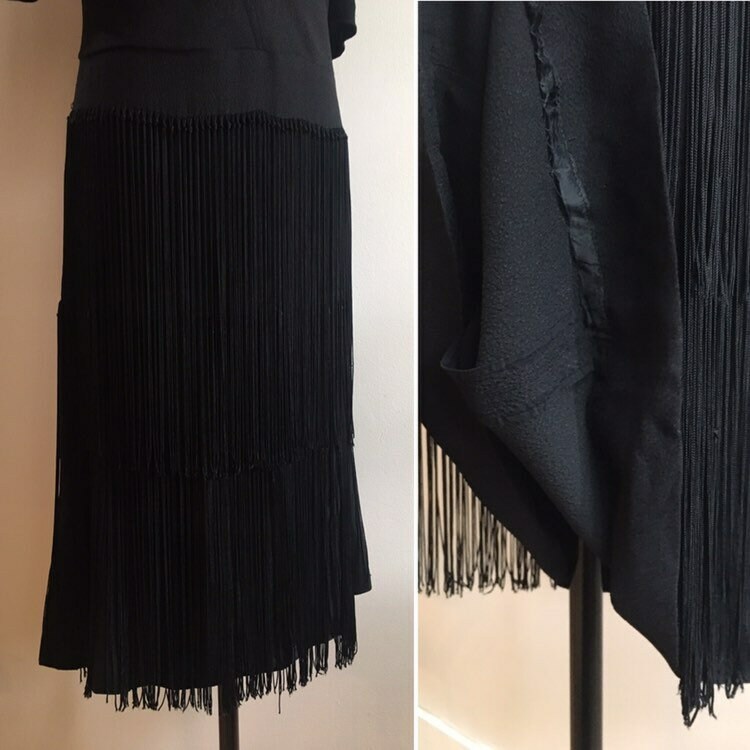 Small, clean repair done to front of skirt near hem, underneath fringe (see photo). One strand of fringe missing (also pictured). Top button on back of neck has fabric cover coming off. No holes, rips, tears, stains, markings, areas of discoloration, worn areas, open seams or other issues, other than noted. High, crew-style neckline with seaming detail on each side near shoulder. 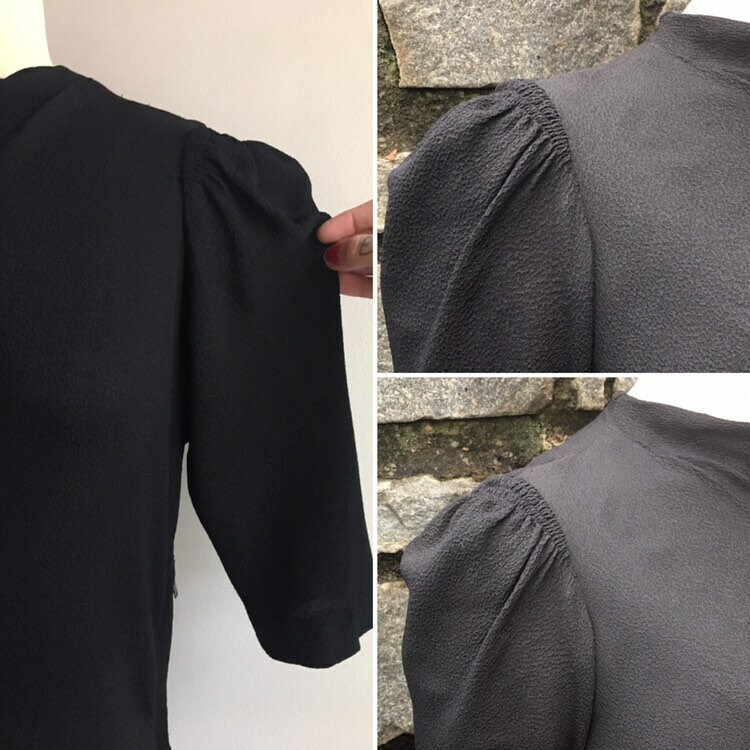 Sleeves are half-length with horizontal gathering / ruching seams at the top of the shoulder, creating a more structured, military-inspired shape. 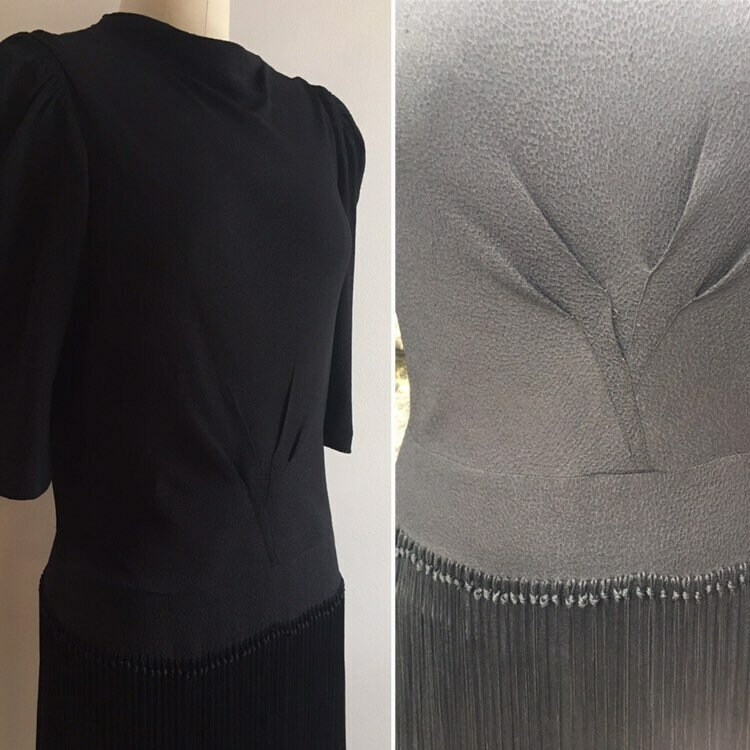 Beautiful seam detail on center front of bodice near waist (see photos). 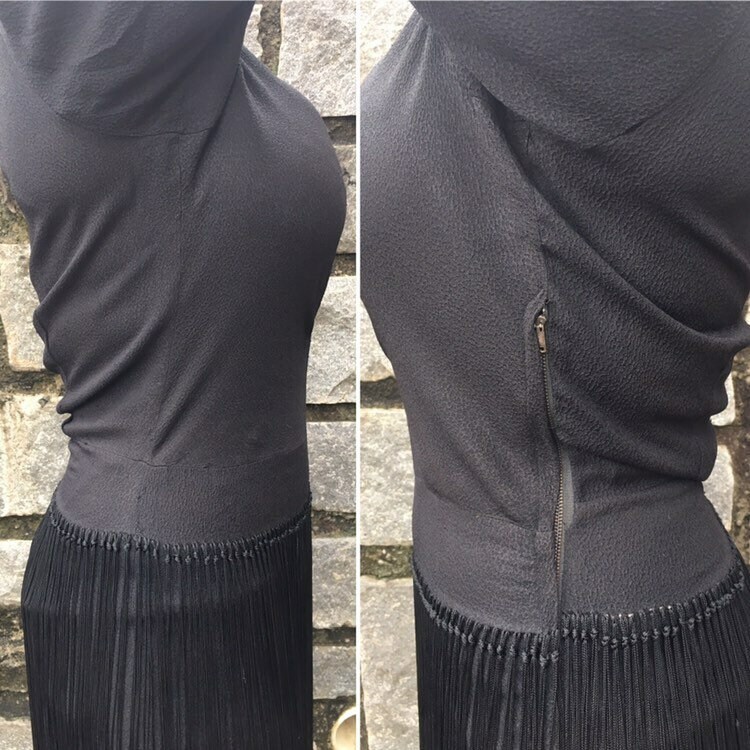 Drop-waist pattern with metal side zipper on left side seam; zipper is in great working condition with no damage or other issues. 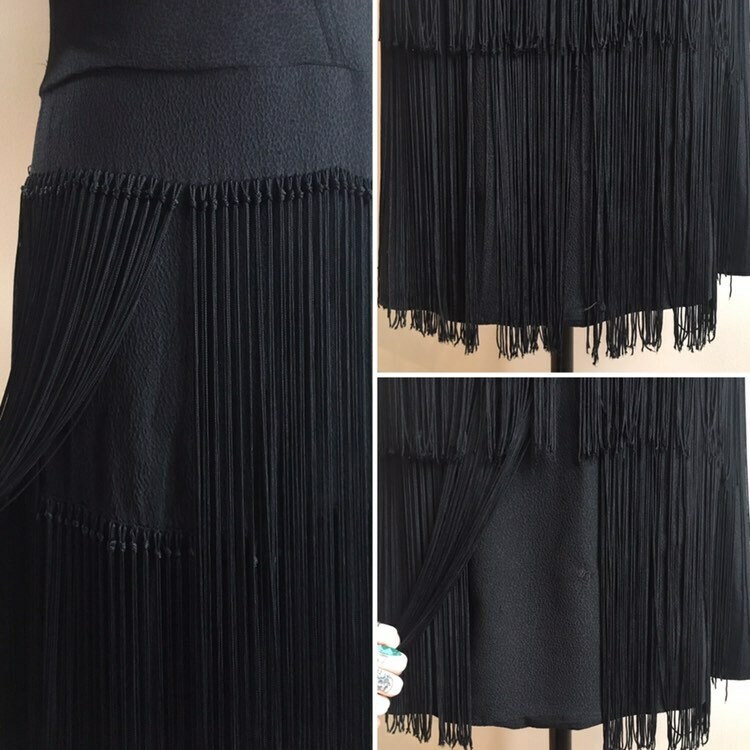 Skirt has narrow A-line shape with two layers of long fringe on top (top layer is shorter and bottom layer is longer). 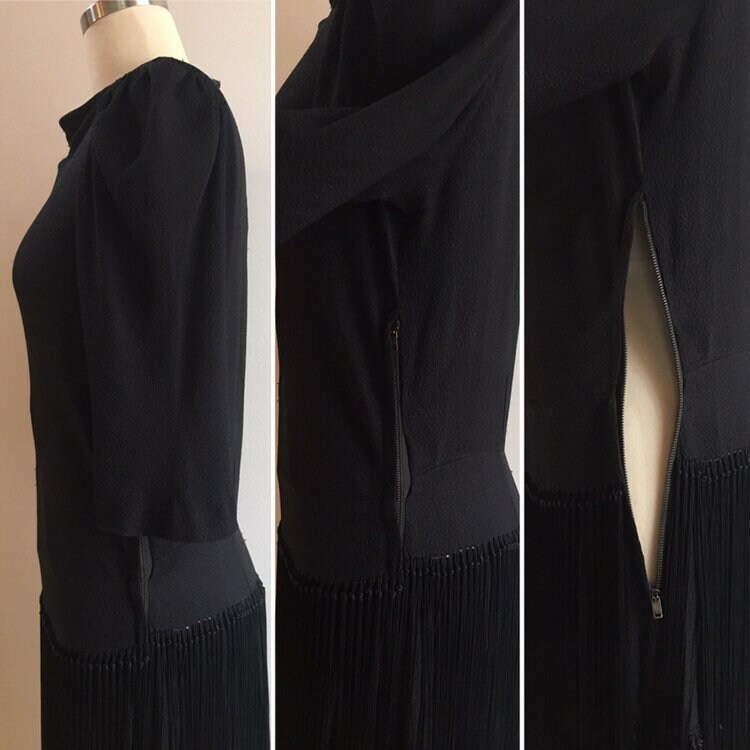 Fringe is knotted into fabric (see detail photos of fringe). Fringe is in great shape with no excessive fraying. Nine round black buttons down back of neck with corresponding loops. All buttons are present; top button is the only one with signs of wear. No lining on inside. Hem is hand-sewn / finished. Freshly dry-cleaned; dry-cleaning recommended for future care. 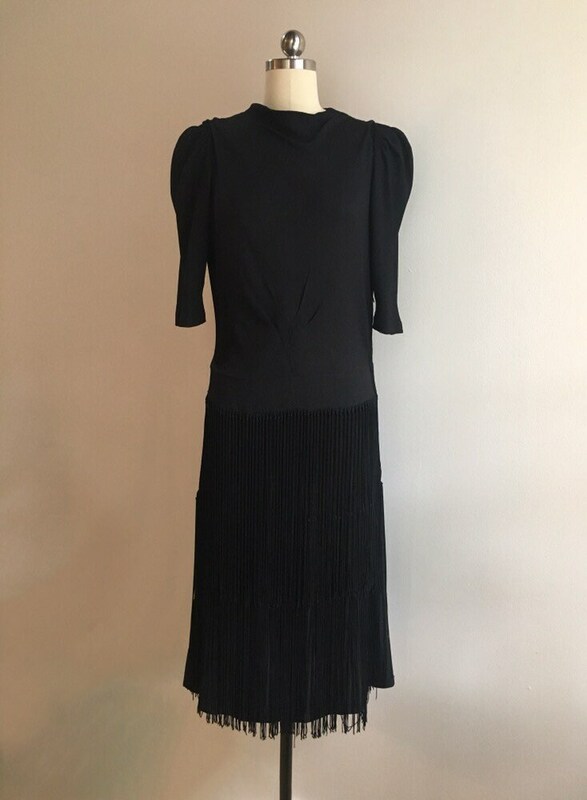 Dress is larger size than mannequin; dress is NOT pinned to fit mannequin. 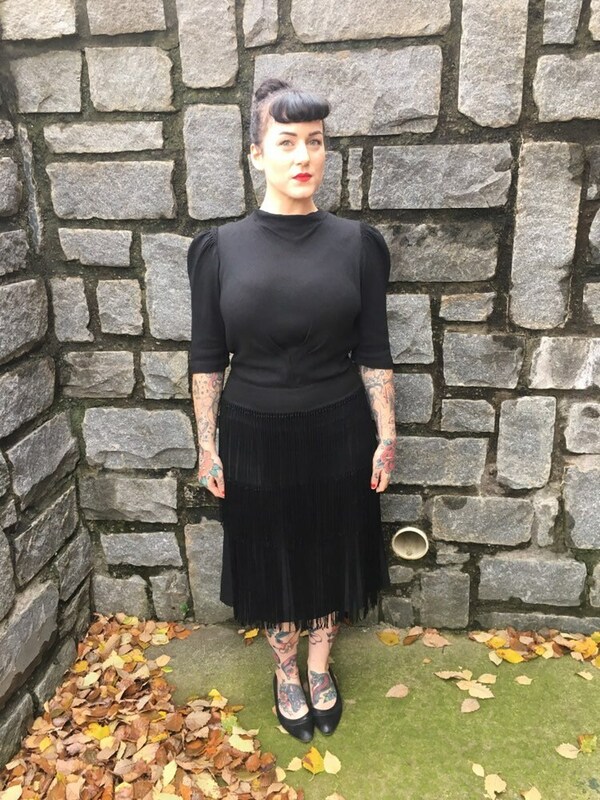 Model pictured wearing dress is a modern size 4/6. 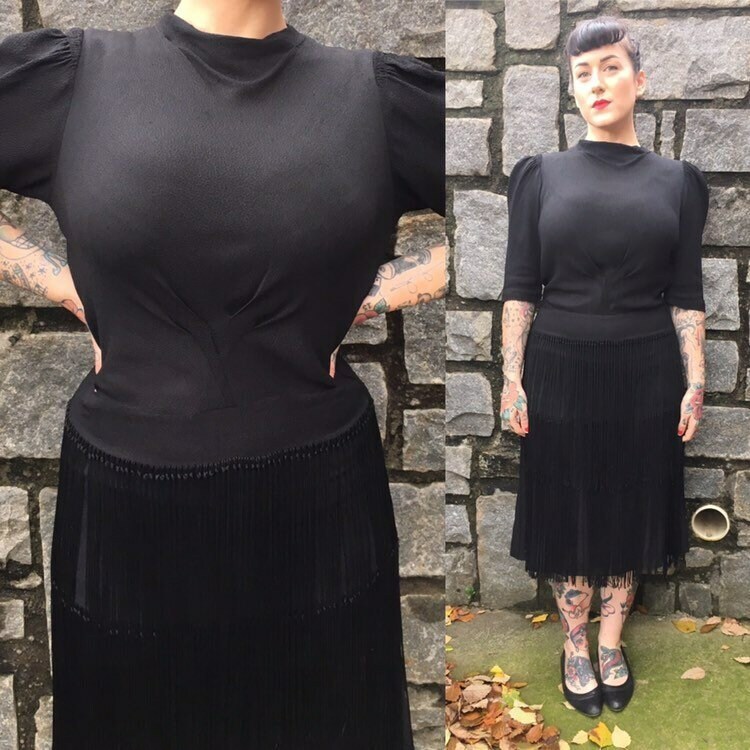 Natural waist: 26" - 27"
Shoulder to drop waist: 17"
Drop waist to hem: 30"